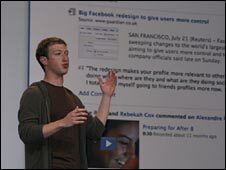 The founder of Facebook says the social network will return to its previous terms of service regarding user data. In a blog post Mark Zuckerberg said the move was temporary "while we resolve the issues that people have raised". He had said the changes were made to ensure that if a user deleted his or her account any comments or messages he or she had left on a friend's Facebook page would not also disappear. Facebook users were advised on the change with a notice posted to their pages when logging in to the service. He added: "Our next version will be a substantial revision from where we are now. It will reflect the principles I described yesterday around how people share and control their information, and it will be written clearly in language everyone can understand." The row and reaction to the Facebook changes to its terms of service reflect a wider issue about user data and who owns the personal information - from comments, to photos and videos - stored on social network accounts, and what happens to it if a user decides to leave a service. 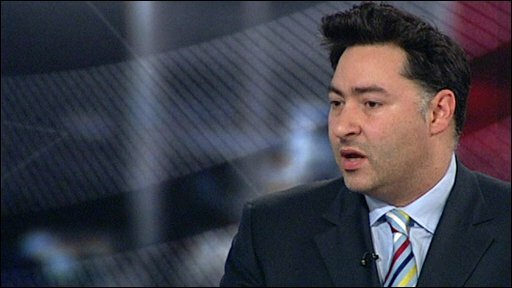 Simon Davies of Privacy International called the change "a breach of faith by Facebook". "People are entitled to be outraged. It flies in the face of the commitments that the company made to protect user privacy and to improve user controls," he told BBC News. Mr Davies criticised the company for allowing commercial and legal concerns to override its commitment to users, saying: "It appears to be going down the same road as Google. Its halo is starting to slip." "Now, there are other kids on the block, like Twitter, Facebook can only survive a certain number of disasters like this. It will only last three years if it continues to make these errors." He also advised users to "ratchet their privacy settings up to the maximum" to restrict advertisers' access to their data and ensure that their details are fully protected. Earlier this week Mr Zuckerberg had likened the persistence of data across the social network, even after a user had decided to leave the service, to e-mail. In the US, public interest group, the Electronic Privacy Information Center had warned it would file a formal complaint with the Federal Trade Commission about the new terms of service. "We think that Facebook should go back to its original terms of service," Epic's executive director Marc Rotenberg, told PC World website.